IOTA is listed among the leading lights of the cryptocurrency market. IOTA has a place on the list of the Top 10 most-sought-after coins. It operates as a functional platform with MIOTA as the transactional currency. IOTA means Internet of Things Applications, and it is an operational platform that has numerous real-world use cases. It is positioned as one of the most suitable drivers of the Internet of Things in the world. When IOTA was innovated in 2014, it became the front-runner in enabling the processing of microtransactions on the emergent Blockchain. Nano transactions found support in IOTA as it made it possible to measure transactions as minute as 0.000001 BTC on the platform. IOTA is scalable, lightweight, and effectively a decentralized ledger that is supportive of human applications and other machine-to-machine routines. After the launch of IOTA, it became the pioneer of the technology that enables the leasing of any asset type on the Blockchain. Anyone can earn an income by embedding a chip to an asset. IOTA commenced its ICO on November 24, 2015, and this closed on December 20, 2015, with a total inflow of $434,000. Using the standards of the past decade, this turnout was impressive and lauded by market watchers. From those early days, IOTA has grown to command a market capitalization of $4.44 billion, and daily transactions run into hundreds of millions of MIOTA. IOTA uses a native technology known as the Tangle, which makes it possible for instant confirmation of transactions. It is also noteworthy that there are no transaction fees on the platform. IOTA Tangle supports the addition of data in an offline mode, which realigns when an online mode is restored. Interconnectivity for mobile gadgets, PCs, mobile phones, and other smart gadgets or applications is supported by IOTA. The digital currency of IOTA are coins are called MIOTA. When traded in the range of millions, Mega IOTA is used as the description, and the smallest unit is the IOTA. 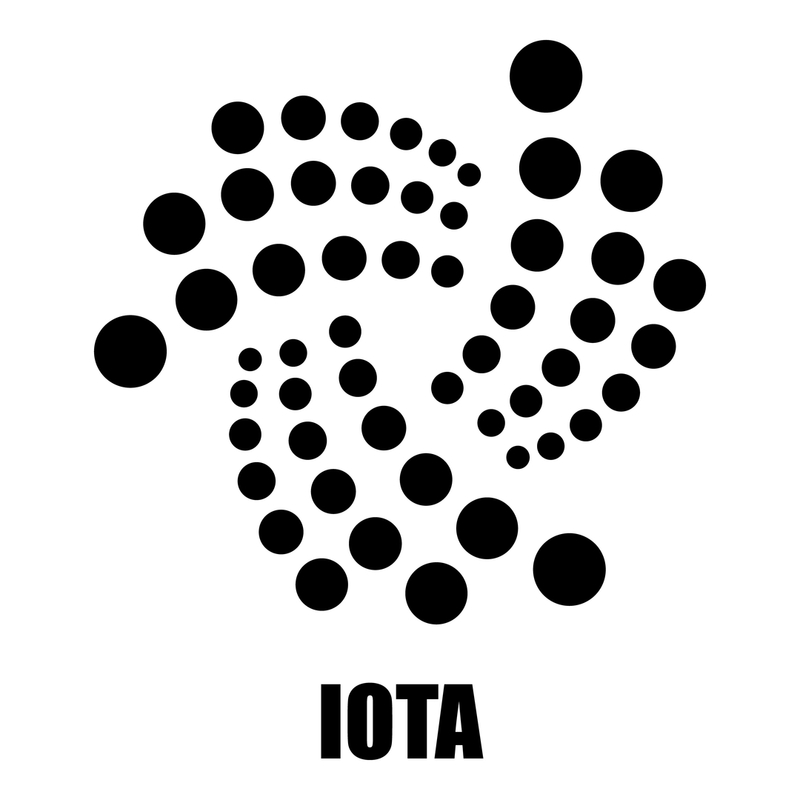 On the IOTA network, the transactional currency is officially IOTA, and it has a fixed supply of 2,779,530,283,277,761. The IOTA Tangle is also supportive of other cryptocurrencies, and this means that MIOTA is not treated as the exclusive currency on the platform. IOTA is convertible to other cryptocurrencies, like bitcoin cash, and since the basis for the unit of exchange is known, global usage and acceptability is assured. On the operational front, other Blockchains can access the network and this makes collaboration and interoperability possible. In the global marketplace, merchants and other service providers see the use of IOTA as the best platform for micropayment as incontestable. With IOTA, there is a faster pace of processing, lower transaction fees and deepened prospects of integration of third-party apps. Irrespective of where you live, as long as you can embed a chip to an asset or application, you can make use of IOTA to monetize it. The scale of the Internet-of-Things economy is expanding globally each day, and this necessitates B2B flexibility. Resources have to be shared for a robust functionality that can accommodate different players and stakeholders. Companies can explore new frontiers in B2B, share resources, connect seamlessly and receive their due rewards by leveraging on IOTA. Since the transactional fees burden is taken off on IOTA, a strategic technological resource is democratized. The Tangle improved on many perceived and real shortcomings of the Blockchain innovation in terms of cost of transactions and slow transaction pace. IOTA facilitates the monetization of an asset as well as the remittance process of rewards and charges. The Tangle also has the advantage of expanding its capacity based on its probabilistic design as opposed to the deterministic structure of most blockchains. Processing of transactions on IOTA is made possible using the DAG or Directed Acyclic Graph. This approach avoids layering of transactions and has no need to wait In a queue as the built-in process sorts through transactions as they arise. The use of miners on many Blockchains also adds to the cost of service, and this is avoided by IOTA. No mining is involved and no associated cost arises in the absence of blocks or block rewards. IOTA was co-founded by Dominik Schiener alongside Sergey Ivancheglo, Dr. Segueil Popov, and David Sonstebo. Dominik Schiener has a reputation for working on decentralized identity innovations as well as Blockchain voting technologies and other e-governance initiatives. By working with a trusted and capable team, Schiener has succeeded in taking the possibilities of a global Internet of Things economy to a new height. A full node can run on your PC if you install the Nostalgia UI. It accommodates multiple accounts. You can access the lightwallet by using a local interface in your PC to access an operational IOTA Node. The seed is stored in your PC. The latest wallet for IOTA is Trinity, and it was developed to help the user control the random private keys for IOTA. It is available on mobile, desktop and cross-platform basis. For lovers of the mobile wallet, this option is available. You can download it from the IOTA portal. You can also hold your IOTA in an offline wallet. You will need to download Electron Framework for this alongside a NodeJS, and a Web Package Manager called Bower. IOTA: Can you mine IOTA? IOTA coins have been fully distributed and are not mineable. Since it is not a Blockchain, the operational methodology is different and has no need for miners. The integration possibilities for developers have been deepened with a supportive development ecosystem. Clients are built-in using a range of languages that allows for developers to choose what suits them. There are other optimizations in the outlook for the next 12 months and beyond that caters to Light Client and Swarm Client. The optimizations are directed at achieving a database that is nimble and in full effect to enhance networking and automated processes. There are several online community pages for IOTA. Reddit has the most number of users on social media for IOTA, and more community outreach takes place here. For official communication, updates are shared complementarily across Twitter, Telegram, Reddit, and Bitcointalk. IOTA is on Twitter and you can expect to find updates on its timeline on a daily basis. There are 109,000 followers of IOTA on Twitter. IOTA has a page on Reddit for the announcement of recent developments on the platform. There are more than 109,087 readers of IOTA Reddit page on record. On Telegram, IOTA has a page for discussions and market updates. There are 12,046 members on the channel. On Medium, you can get more details and explanations on the functionalities of IOTA. There are 1,500 followers recorded on IOTA Medium page. You can find several links to IOTA developments as well as answers to queries about IOTA on Bitcointalk. There are more than 1.3 million views recorded for the IOTA page on Bitcointalk. IOTA has been on the list of the Top 10 cryptocurrencies over the past year. It has changed placement between the seventh and the ninth position in recent times. Judging by its pace of transaction processing, IOTA has a place among top cryptocurrencies. The surging volumes of IOTA traded each day is a point to the market perception of its credibility and viability. IOTA pioneered the ‘blockless’ Blockchain processing approach, which takes off the burden of mining cost and associated drawbacks. As an IOT platform, there is a deluge of applications that use the technological resource that is the IOTA algorithm. The prospects of a transaction-free network are real on IOTA, and a bright future beckons for it on the cryptocurrency market.